Bloody typical. 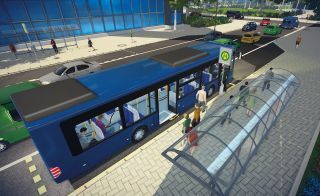 Bus Simulator 16 is delayed, flaunting its credentials as number one public transport simulator. It's one drivers' strike and a man-spreader away from reality. Scheduled to arrive January 20, it will pull into the station March 2 instead. Developer Stillalive puts the delay down to "unexpected minor technical complications that sporadically occur on some system configurations", and yes, I'm pretty sure I've heard that on my commute along with "signalling problems" and "lack of train fuel". If you want to imagine fare hikes and drunken passengers in the meantime, here's Chris' account of Bus & Cable Car Simulator: San Fransisco.